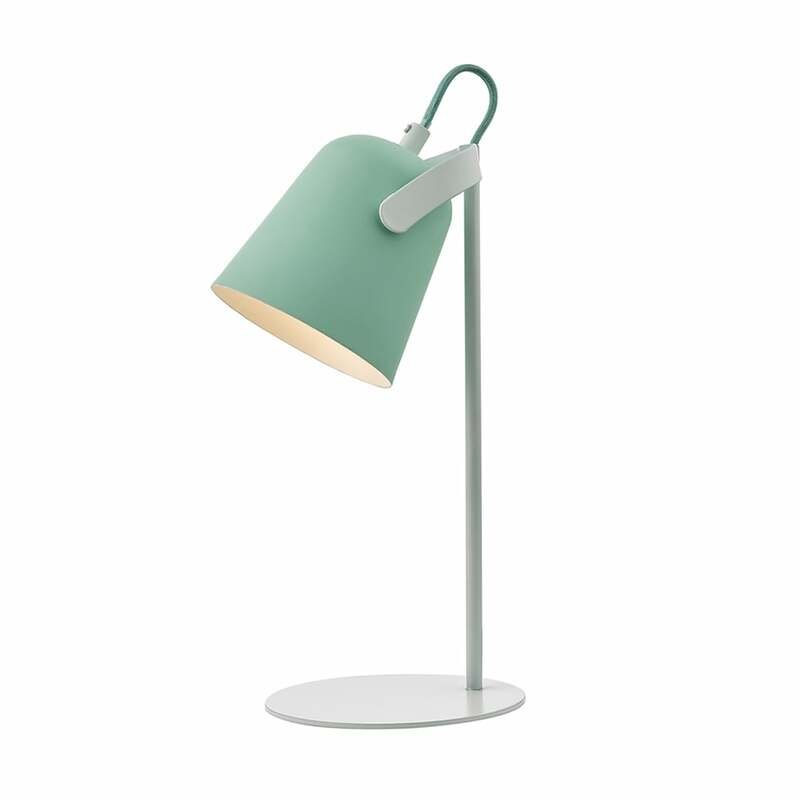 Dar Lighting Effie single light table lamp features a circular design base with slender stem in white finish holding a dome shaped metal shade in pale green finish. The Effie table lamp is both stylish and practical as the adjustable shade allows you to direct light where required, the pale green and crisp white finish creates a Scandinavian look, perfect for contemporary decors within your home. Double insulated and operated by an inline rocker switch. This product code is EFF4124. Also available in grey and white finish and the Dar lighting Kaelan pendant will complete the look, all of which can be viewed on our website.